Save BIG $$$ when you purchase your wheelchair or scooter with a lift or ramp. Rear Basket and armrest bag. 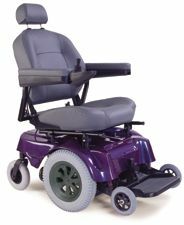 This Package includes: Demo model Pronto M51 with Sure Step technology with new batteries, on-board charger, swivel, high back captains seat with head rest and semi-recline feature. 90 day warranty on wheelchair. New Harmar AL 200 inside wheelchair lift with docking device needed to lift Pronto M51, 3 year transferable warranty on lift. Lift includes everything needed to install; wire harness and complete, detailed installation instructions. Heavy Duty weather cover and armrest bag. 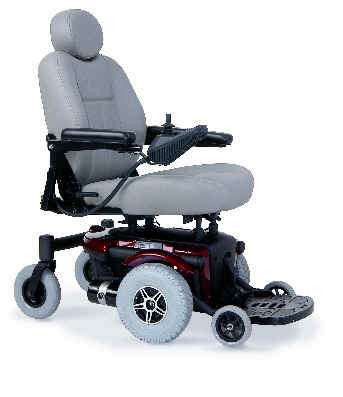 This Package includes: Demo model Pronto M51 with Sure Step technology, new batteries, on-board charger, swivel, high back captains seat with head rest and semi-recline feature. 90 day warranty on wheelchair. New Harmar AL 500 outside wheelchair lift with 3 year transferable warranty on lift. Lift includes everything needed to install; wire harness and complete, detailed installation instructions. Heavy Duty weather cover and armrest bag. This Package includes: Demo model Pride Jazzy Jet 3 Ultra with new batteries, on-board charger, swivel, high back captains seat with head rest and semi-recline feature. 90 day warranty on wheelchair. New Harmar AL 200 inside wheelchair lift with docking device needed to lift the Jazzy Jet 3 Ultra, 3 year transferable warranty on lift. Lift includes everything needed to install; wire harness and complete, detailed installation instructions. Heavy Duty weather cover and armrest bag. This Package includes: Demo model Pride Jazzy Jet 3 Ultra, new batteries, on-board charger, swivel, high back captains seat with head rest and semi-recline feature. 90 day warranty on wheelchair.